Every school has That Parent. The one whose child’s side is the only side. Who waits until April to notice their kid is failing algebra. Who expects an immediate response to an angry 600-word e-mail. 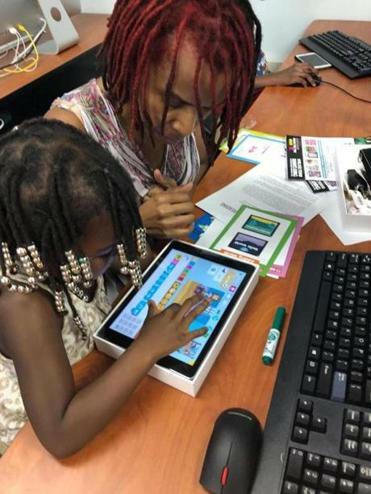 A mother and daughter play a game at Parent University, offered by Boston Public Schools. Research shows students are more successful when their family has a good relationship with the school. So as students head back to class, we asked educators how parents can best partner with their child’s teachers. Communicate early and often but find out how. Ask your child’s teacher if he or she prefers to communicate via e-mail or the phone. If your child is having an ongoing issue, should you check in daily or weekly? Does the teacher send out weekly updates about classwork, post information on a classroom blog, or update an online grade book? 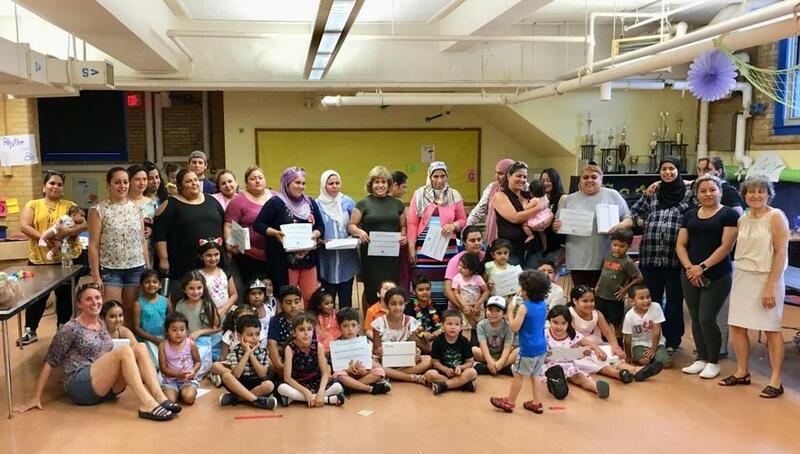 Effective communication is an emphasis at Parent University, the Boston Public Schools’ free classes for city parents to help forge meaningful relationships with their child’s teacher and school. Cyntoria Grant, director of family and school engagement for Boston Public Schools, urges parents to help the teacher get to know their child. Tell the teacher if something difficult is going on at home so she can better respond to off emotions or behavior. Or, maybe your child erupts when embarrassed. Ask the teacher to address problems with that child privately. A teacher who knows that a child who is struggling with math happens to love trucks can use that information to incorporate trucks into math problems. Some teachers welcome an introductory letter that summarizes the student’s needs, strengths, and interests. Be the parent, not the teacher. Najimy recommends parents focus on their child’s social-emotional development, self-regulation skills, and screen time. Teach your child how to be part of a group, to be polite, and how to pay attention, and listen to peers and adults. Help children identify their feelings and then teach them skills for calming themselves. Najimy likes unstructured playtime in nature because it allows kids to be in charge of themselves and solve problems independently. Instead of playing online games, sit with your child and play board games. Instead of letting your child consume content online, encourage her to create it with programs like Book Creator, where students can write and illustrate stories. Too much screen time can jeopardize a young child’s future academic success. “If kids don’t have the opportunity to talk before they come to school, that actually impacts their ability to learn, to read,” Najimy said. Ginny Osewalt, an elementary and special education teacher, shares recommendations for parents on Understood.org, a nonprofit that educates parents and educators about supporting students with learning and attention issues. When you are upset with a teacher, go to the teacher first, not to an administrator or Facebook. Do it calmly, and if possible, in person. Ask the teacher to help you understand the upsetting situation. Keep an open mind. The story your child told you may be incomplete or even inaccurate. If you’re unable to resolve an issue, try to find something to agree on. Perhaps you and the teacher can agree that you both care about the student even if you disagree about the approach the teacher took, Osewalt said. “As quickly as the parent and teacher can move on, the better, because in the long run it’s the child who will suffer,” she said. Make it your job to be informed. Many schools, especially high schools, post grades and missing assignments in an online grade book parents can access. Osewalt encourages parents to log in regularly to keep up to date on their child’s academic progress. “Don’t send a frantic e-mail when you haven’t looked online,” she said. Najimy came to see her role as a teacher to students and their parents. She provided tips on early childhood development at parent-teacher conferences, on back-to-school nights, and in her newsletters home. If you can’t attend these events, ask your child’s teacher how to support your child at home with academics. Ask whether you should help with homework or instead alert the teacher if homework has become a huge struggle. Find out how you can reinforce strategies at home that have been successful in school. One more tip. A thank-you note when a teacher has helped goes a long way. Annmarie Timmins can be reached at annmarietimmins2@gmail.com.